This year, the Vanguard™ Carbon’s collection is enriched with a new innovative and eye-catching watch: the Vanguard™ Carbon Krypton. 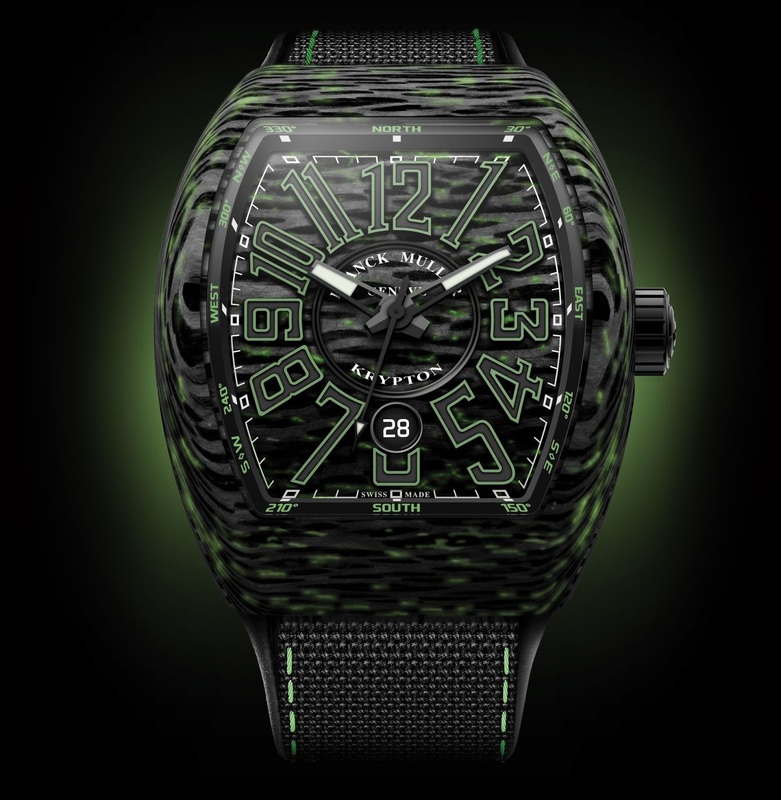 Following the success of the first Vanguard™ Carbon released in 2015, Franck Muller now combines the style and elegance of the carbon with the technical character of the luminova. Following a unique process, luminova particles are combined within the carbon, offering unseen galaxy like inside the case. Once the night has come, the Vanguard™ Carbon Krypton reveals a new, even more futuristic, outline. The dial as well as the case adorned with luminova details transform this timepiece into a high-tech watch. This collection claims its powerful character from the dial to the case through its luminova details and pioneering manufacturing process. Housing an automatic movement, this collection offers a power reserve of 42 hours. The new Vanguard™ Carbon Krypton is fitted with a sporty rubber and nylon strap.